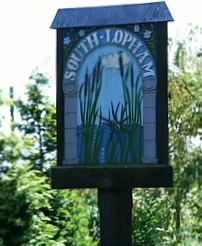 Members of the Lophams’ Society, South and North Lopham Parish Councils and around 40 residents attended the annual Village Meeting on Friday 12 April 2013 at the Lophams’ Village Hall. People were welcomed with drinks and snacks kindly provided by the Lophams’ Society. The meeting was opened by the Chairman of the Lophams’ Society Granville Horan at 7.30pm with the Society AGM, followed by reports by the South and North Lopham Parish Councils. Our local Councillor William Nunn gave an update on matters regarding the District and County Councils with particular emphasis on the changes to the planning regulations. Brief presentations were made by representatives from a number of local groups and societies. For more informati0n the notes from the meeting kindly recorded by Mike Cox, Clerk to North Lopham Parish Council can be viewed here (PDF document opens in a new window). A copy of the report presented by the Acting Chairman of South Lopham Parish Council, Sarah Martin can be viewed here (PDF opens in new window).